One of the most annoying things a homeowner may have to deal with are noisy pipes. Not only will having to listen to this get quite annoying, but it also means that there’s probably a more serious issue. There are several different kinds of sounds you may hear, but the most common include hammering, squeaking, ticking, and dripping. Once you start hearing these noises, it’s important that you to pinpoint the problem and have the necessary repairs fixed as soon as you can. If you’re unsure how to figure out what exactly is the issue, then take advantage of the information listed below. If your pipes make noise when the water is turned off, one of the most common sounds you may hear is thumping or hammering. There are a few different things that can cause this to happen. The first is the need for an air chamber. Air chambers are designed to keep the water that’s traveling through the pipes from forming waves. These waves in return cause unnecessary noises and can even damage to your pipes. So, what exactly is an air chamber? An air chamber is an upright pipe located on the inside of your wall. It’s positioned right next to your home’s water valves. If your home does not have any air chambers, and you have no experience with piping, you’ll want to call a professional and have them installed. However, if your home in fact does have air chambers, but you’re not sure if they’re the cause of the noise, you’ll can inspect them yourself. In order to see if your water chambers are at fault, you’ll have to do more than just look at them. You’ll have to physically inspect them. There are specific steps you’ll have to take. Start by shutting off your home’s main water valve. Once this has been turned off, open up the water facet in the highest area in your home, and then turn on the facet positioned in the lowest portion of your home as well. After these have both been opened up and turned on, let the water completely drain from the lowest facet. This may take a little bit. Air is now going to fill up your air chambers. After all the water has been fully drained, locate the main valve in your home and open it up. You should now hear a sputtering sound. This is air leaving the pipes. Although most of the air is being released, there’s still going to be some air left inside. The leftover air should eliminate this annoying hammering noise. To prevent your pipes from making this hammering noise in the future, you should really clean your air chambers regularly. By doing this, you’ll keep them from getting clogged and causing unnecessary problems. If you’re unsure how to do this, simply remove the cap that’s on the pipe of the chamber and clean the grime out. The cleaner your air chamber, the more it can help eliminate water hammering. If you’re trying to install water chambers in areas of your home that are just not feasible, then another route you can take to help keep your pipes from making noise when the water is turned off is installing mechanical water arrestors. What exactly are these devices? As the water travels through your pipes, its movement is absorbed by the spring and sponge located in the tightly sealed device. As a result, those annoying water hammering noises will finally disappear. In addition to this, unlike water chambers that need to be recharged from time to time, arrestors units simply need to be replaced when they quit working properly. They’re reliable, effective, and even recognized by the Plumbing and Drainage Institute (PDI). If you haven’t already installed water chambers or water arrestors, you can install a pressure relief valve instead. Too much pressure can also be the cause of water hammering as well. In addition to this, dishwashers, washing machines, toilets, and other appliance that run off water have the potential to be damaged by too much pressure. That’s why this device is a great choice. The pressure relief valve will need to be installed where your water source travels into your home. Once you have it installed, check your home’s water pressure. If you find that the water pressure is at a 100 psi or above, you will need to relief some of the pressure. Not only is this dangerous, many of the warranties for the appliances that you own will not be covered. It’s recommended that you keep the water pressure in your home around 30 to 55 psi. 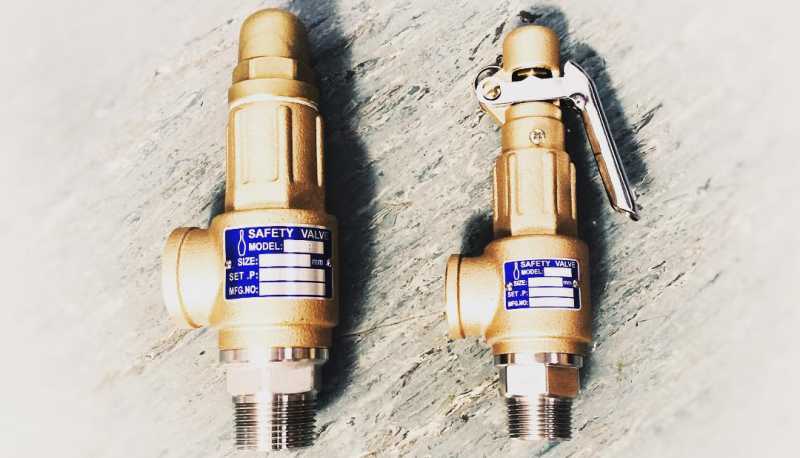 Pressure relief valves are an essential tool that’ll allow you to eliminate your water hammering issues while also keeping your water pressure on check. It truly is a useful device. Another cause of water hammering is loose mounting straps. These are the straps that hold the pipe to the frame of the house. They’re sole purpose is to keep the pipe from moving when water is traveling through it. When these straps are loose, the water will begin to move the pipes back and forth thus causing water hammering. Start by checking to see if the straps are loose or broke. If they’re loose, equip yourself with the right tool and tighten them back up. On the other hand, if your pipes don’t have them, or the ones connected are already broke, then you’ll need to go to a home improvement store and purchase some mounting straps. There’s one thing you should really consider before going out and buying new straps. If your pipes are constructed from copper, refrain from using steel or even galvanized straps. Why? When the two materials are used together, electrolysis can take place resulting in a leaky pipe. Not only is a leaky pipe a hassle, it’s also can be expensive to fix as well. Instead, either use plastic straps, or you can even use plumber’s tape to keep the pipe from moving. Although there’s several different kinds on the market, choose a product that’s durable, made tough, built to last. You won’t be sorry. Water hammering isn’t the only noise your pipes can make when you have the water turned off. Your hot water pipes can also make a squeaking sound as well. So, why does your hot water pipes squeak? Squeaky pipes are the result of the pipe expanding due to the heat from the hot water. As the pipes expand, they’ll begin brushing up against the anchoring straps which causes the irritating noise. To fix this issue, all you need to do is wrap a thin layer of rubber or fabric around the pipe. Wrap it where the pipe meets the anchoring straps. You may have to remove the anchoring strap before you can wrap the pipe in the right location. When you remove the straps, make sure you do it carefully. You’ll also need to have the right tools too. Another sound that your pipes can make is a ticking noise. This noise that you hear coming from inside your pipes is actually caused by your home’s water meter. The sound of the ticking travels from the water meter and through the pipes. The bad news is there isn’t much you can do about it, because the meter isn’t owned by you. You’ll need to contact your local water company and have them come check it out. If they see a problem, then the company’s technicians will have to repair it themselves. The last common sound a homeowner may hear when the water is turned off is a dripping sound. This one is obvious. When you hear a dripping noise, it pretty much means that you have a leaky pipe. Locating this leak should not be much of a problem. However, when it comes to fixing it, you have a few options. The first thing you’ll want to do is find out where your pipe is in fact leaking and inspect the damage. If there’s a small hole in the pipe, you may be able to simply patch it up. There’s several different products on the market that work really well. It’s best to read the reviews and choose one that’s most appropriate for your situation. On the other hand, if there’s a large crack in the pipe or the leak is coming from the water valve, then you’ll more than likely have to do some replacement and repair work. For anyone who has little or no experience in this area, it’s recommended that you call a professional. If you are planning on doing it yourself, make sure that you start by turning off the water and letting the pipes fully drain out. This will prevent you from making a mess and causing even more damage.